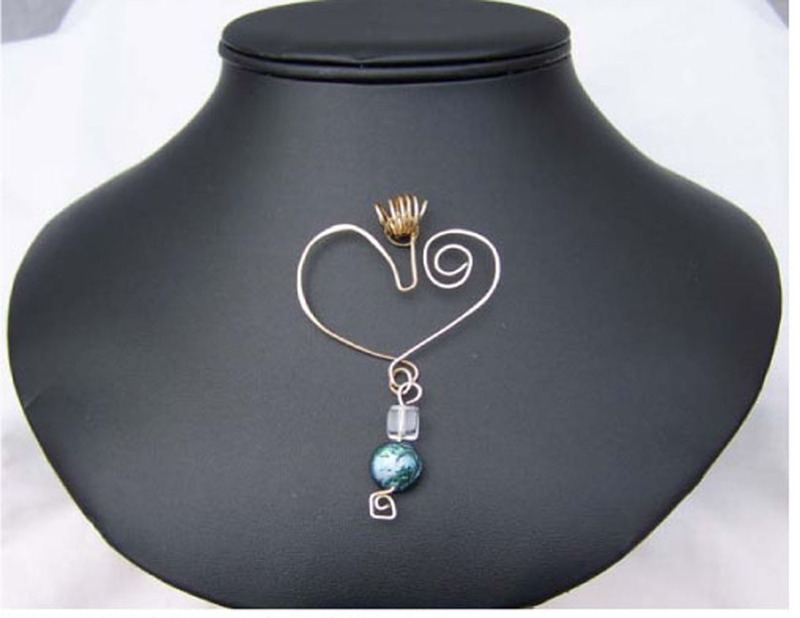 14KT Gold Filled Wire Wrapped Heart Pendant with Herkimer Bead and Freshwater Pearl. This is a great Mom or Sweetheart gift idea. It measures 2 7/8" X 3 1/4" and also has a wide and sturdy bail. Great on an omega or chain.